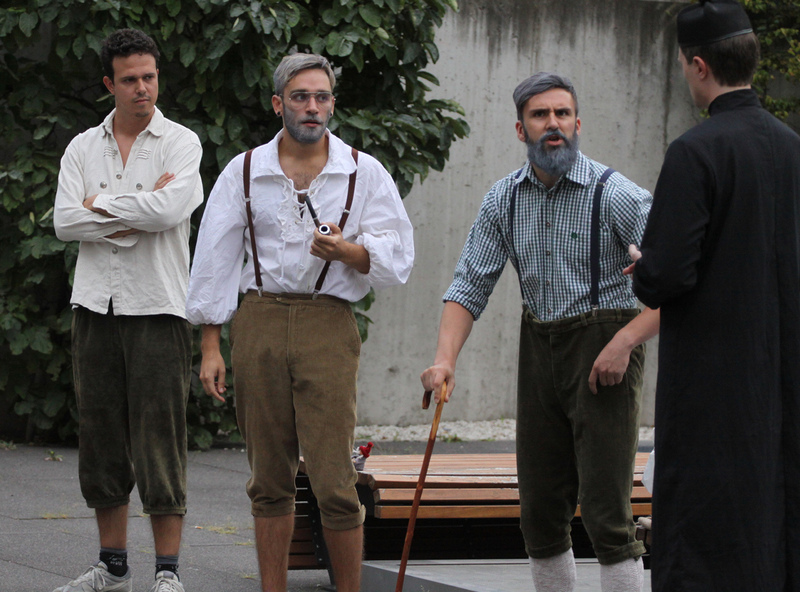 On the evenings of Thursday 31st August and Friday 1st September the Vienna Biocenter Amateur Dramatic Club (VBC ADC) performed an adaptation of Arthur Millers ‘The Crucible’ at the Vienna Biocenter. This dramatised retelling of the Salem witch trials allowed a large cast to flex their acting muscles, both outdoors on the first night and, due to inclement weather, in the IMP lecture hall on the second night. Biolution was represented in the performance by Matthew Spencer playing Francis Nurse.